Following the cessation of hostilities with Iraq, the Kuwait Ministry of Defence conducted a state wide EOD clearance programme between 1991 and 1993 which was followed by further QA/QC operations. Despite these efforts, in many areas items of UXO remain. On March 8th 2015, a travelling Bedouin man picked up a suspected BLU 63 just south of Kuwait City initiating the sub-munition which killed him and his camel. This accident serves as a grim reminder of the lethal legacy of these items a full twenty four years after they were first dropped. 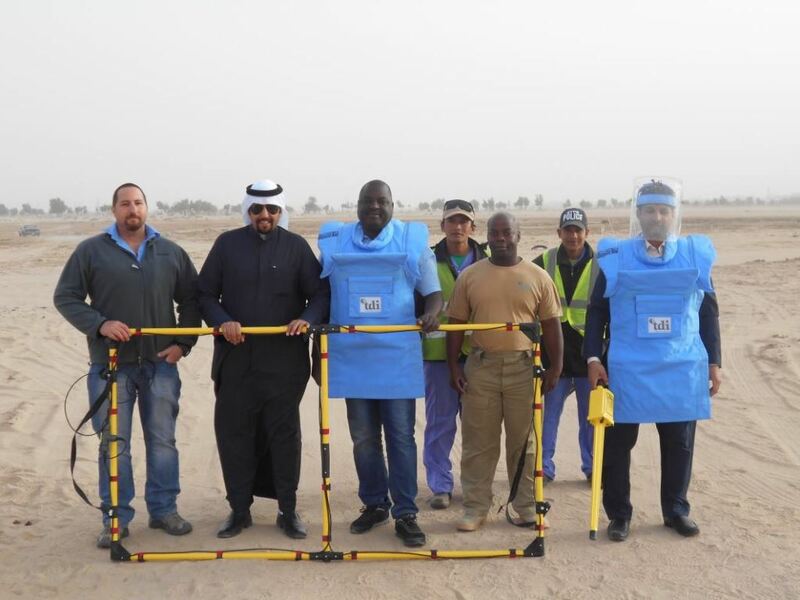 TDI has been working in Kuwait since 2006 and most recently provided UXO and mine field verification support to several commercial organisations. One of these projects, which demobilised in January 2015, was for IIES who required a UXO team to carry out a search for Unexploded Ordnance (UXO) over five areas where the construction of a fence is planned by the Public Authority for Agriculture and Fisheries (PAAF). TDI searched a total of 7,958,000 m2. Four items of UXO were located during the search and reported to KMOD for their further attention and action. 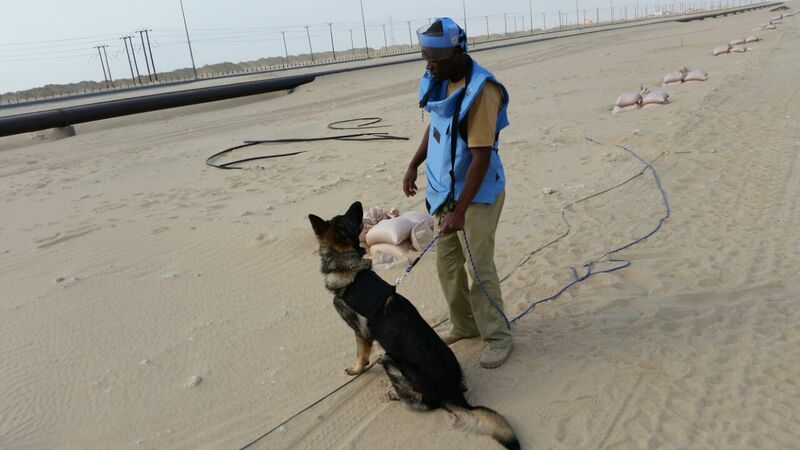 In March 2015, in support of Saudi Arabian Chevron operating in Kuwait, TDI provided EOD and Mine Clearance support for the construction of a new pipeline from Wafra Farms to Mina Saud. The project involved the deployment of Mine Detecting Dogs and a Battle Area Clearance capacity to ensure that the corridor for the proposed pipeline was free from explosive ordnance. Two BLU 61 sub-munitions had been located during the upgrading of the gatch road that runs parallel to the pipeline and as such the presence of UXO was suspected. The pipeline also passed through two former minefields that, although previously cleared in 1993, required verification to eliminate the potential mine risk. In this case, no items of ERW or UXO were located in the 6602.28m subsurface search, allowing construction teams peace of mind. TDI are also contracted by WesternGeco (WG), a geophysical services company, to provide both UXO clearance and mine field verification services in support of a seismic survey project in South Kuwait. The Battle Area Clearance teams move ahead of WesternGeco seismic crews to ensure safe passage as they traverse the Kuwaiti desert carrying out their operations. The main threat continues to be cluster munitions and the team continues to move apace having now carried out both visual and sub-surface clearance over many thousands of kilometers.